So what should I say... I'm sorry guys but I'm pretty busy in these days, that's why I'm not commenting, fav'ing and uploading any pictures. I don't even find time to go spotting, because I just started my "Fashion, Luxury & Retail Management" studies. Let's see how this gonna work out. Nevertheless, I'm back and we continue with some pictures from Florida! 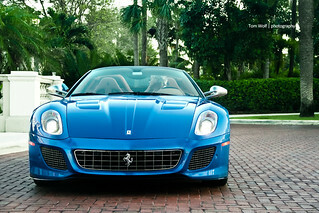 The Ferrari Superamerica 45 belongs to a famous Ferrari collector from Florida! Go to My Profile for informations and contact details.